AdvancedFor students with moderate experience in microbiology. Human sewage is the principle source of pathogens in drinking water. Students perform presumptive, confirmed, and completed tests on drinking water, the same methods used by health departments. Two positive bacterial controls and 3 collected water samples are tested. Human sewage is the principle source of pathogens in drinking water. Under natural conditions nearly all water contains microbes. Water may be safe for drinking as long as no pathogens are present. Students perform presumptive, confirmed, and completed tests on drinking water, the same methods used by health departments. Two positive bacterial controls and 3 collected water samples are tested. Requires 3 to 5 days from set up to completion. 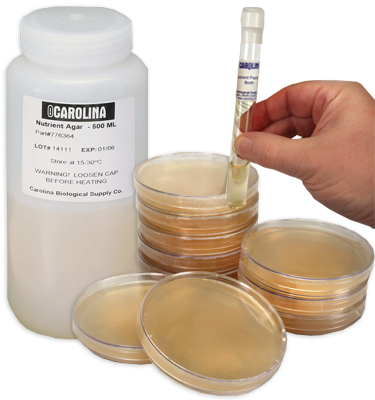 Note:Keep bacteria cultures at room temperature; do not incubate or refrigerate. Refrigerate Levine EMB agar until use; do not freeze.